DALLAS, TX, September 13, 2018 /24-7PressRelease/ — Adtel International, Inc., developer of DoctorConnect.net patient engagement software, has announced they have formed a partnership with Health iPASS to bring a full suite of technology to automate numerous front and back office processes in medical practices. Carrollton, TX – Adtel International, Inc., developer of DoctorConnect.net patient engagement software, today announced they are now compatible with Epic healthcare software. 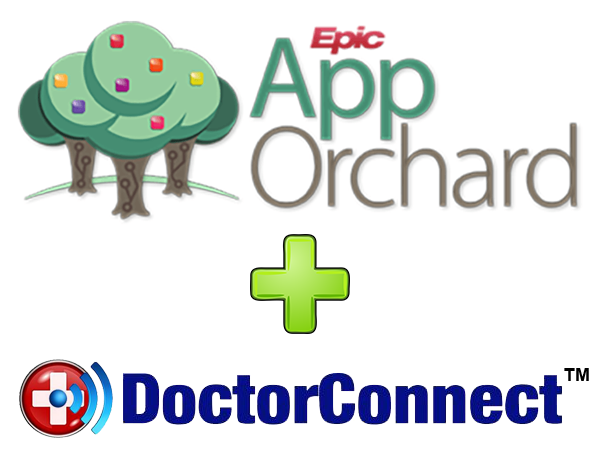 As a contributor in the Epic App Orchard marketplace, this newly integrated application is now available to Epic’s growing network of healthcare providers. “DoctorConnect.net is vital software for every small, medium and large medical practice and enterprise-level healthcare organization seeking to use technology to create high-performance results,” said Catherine Sampels, Director of Sales at Adtel International. “DoctorConnect has been on the market for almost ten years, being offered directly to end-user practices. Our team has worked diligently to meet the requirements to be compatible with Epic software and we are thrilled to be live in production in the App Orchard. We are grateful for the visibility the App Orchard provides, which will increase our opportunity to continue providing healthcare organizations a mature, stable software platform to automate reminders, recalls, surveys, waitlist, and online reputation management, along with online scheduling, 2-way texting, timeblock messaging and marketing features. DoctorConnect is a complete package for every aspect of patient engagement – from online marketing to attract them, online scheduling and reminders to get them in the door, surveys to assess and improve their experience, recalls to keep them coming back, and payment reminders to make paying fast and easy. It automates a lot of labor intensive processes. To learn more about Adtel International’s new integrated application, please visit DoctorConnect’s page in the Epic App Orchard marketplace. ‘More Disruption Please’ program to optimize revenue, operational efficiency, marketing, and patient experience for healthcare organizations of all sizes. DALLAS, TX, June 15, 2018 /24-7PressRelease/ — Adtel International, Inc., developer of DoctorConnect.net patient engagement software, today announced a partnership with athenahealth, Inc. through athenahealth’s ‘More Disruption Please’ (MDP) program. As part of the athenahealth® Marketplace, this newly integrated application is now available to athenahealth’s growing network of 114,000 healthcare providers to increase revenue by reducing no-shows, filling openings with waitlist notifications and online scheduling, increasing patient retention with recalls, and growing the practice through expanded and improved online presence. Contact DoctorConnect for more information. Do you have a smaller office using Microsoft Exchange as your appointment scheduler? Our clients come in all shapes and sizes – many use large hospital EMR and PMS systems, some use smaller clinical systems – and some are able to operate just using Microsoft Exchange (Office 365) to manage their office schedule. We can assist in all of those situations. If you are currently using MS Office to manage your calendar and appointments – we can greatly help you with your customer engagement as well. This includes automated appointment reminders, follow-ups, surveys, direct messaging, etc. So please take a moment to contact us today and let us show you how seamlessly we can integrate your MS Office operations with out DoctorConnect tools! Does your clinic use Kareo? Are you looking to expand your medical appointment reminders and patient engagement tools? DoctorConnect.net is an approved Kareo API partner, and we fully integrate with the Kareo system. DoctorConnect.net can automatically import your daily schedule changes and send customized 2-way appointment reminders, re-care messages, after-care surveys, and manage your appointment wait list with very little effort needed by your office staff. We will even help you increase the amount of positive reviews your patients post online, improving your online reputation. We’ve helped many Kareo offices greatly increase the efficiency of their office flow while increasing the satisfation of their patients. Please give us a call today at 972-503-0717 for a demo or more information. DoctorConnect.net seamlessly integrates with your office Allscripts system to deliver interactive appointment reminders, after-care surveys, no-show management, re-care messaging and more. DoctorConnect.net is an approved Allscripts partner and can be found in their app store. We can provide references from dozens of happy practices that utilize an Allscripts/DoctorConnect solution in their office. Call us today for a demo of how we can greatly improve your office efficiency and patient satisfaction. DoctorConnect.net from AdTel International is an interactive patient communication service using two-way text/SMS, voice, and email communications to increase patient and family interaction. 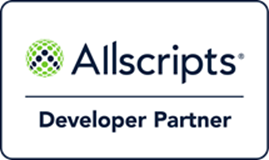 The integration with Allscripts via the Allscripts Developer Program will enable DoctorConnect to seamlessly pull data from the organization’s practice management (PM) system through a proprietary API that enables real-time transfer of encrypted patient information. This new tool enables Allscripts clients to have their patients’ appointment and contact data imported into DoctorConnect automatically and patient response to DoctorConnect can be viewed in the PM system. AdTel International and DoctorConnect.net is a software development company that has been creating software in Dallas, Texas since 1992. We employ the best and brightest minds to design and develop innovative, leading-edge technology for use in practices of every size. We were offering client/patient engagement software in several countries for various industries long before the concept was even a twinkle in our competitors’ eyes. We have shifted the way businesses operate and changed the way people work. DoctorConnect is mature, stable software you can be confident using in your practice. By using DoctorConnect to automate and simplify your Allscripts workflow, practices of all sizes can enhance their operations to reduce overhead and increase profitability. DoctorConnect in the Athena Marketplace! 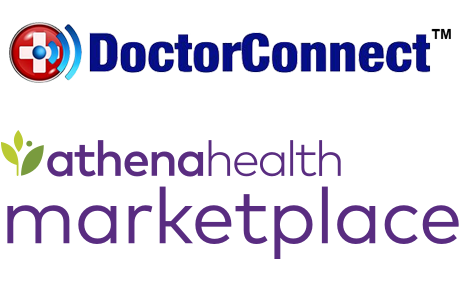 DoctorConnect.net is an approved partner for Athena clients, and we can now be located in their online market place. If you are an Athena user looking to streamline and improve your patient communication, including appointment reminders, surveys, recare messaging and wait list management, contact us today.